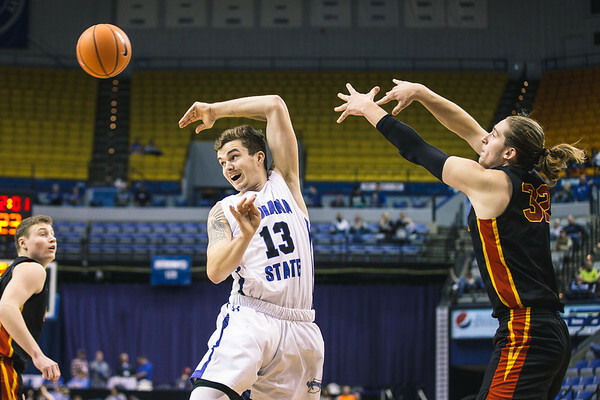 Indiana State finally made it home for a regular season game Wednesday night against Missouri – St. Louis. Of course the season started in Bloomington. You can read about that great game here. 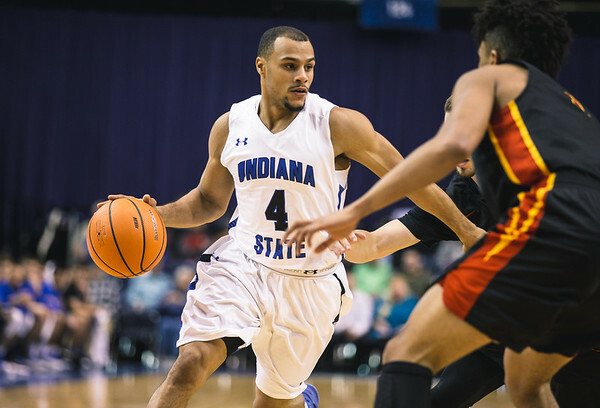 The Indiana State basketball team then travelled to Charleston for the Gildan Classic. With the home opener it really feels like basketball season is here for me. It was fun being back in the Hulman Center again. In the last couple of years I have made some great pictures there, and it will be fun to do the same again this season. 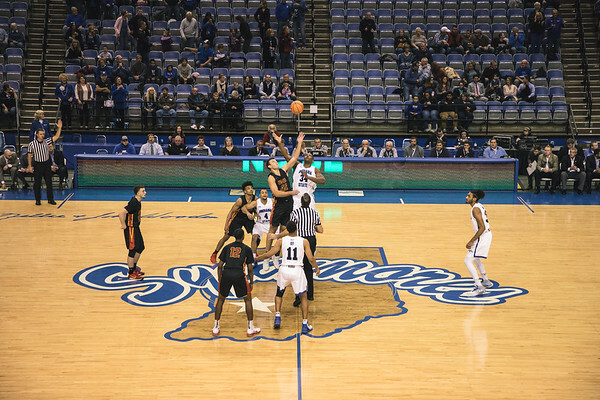 The Sycamores were really tested early in this game. They just didn’t seem to be fighting for the ball like UMSL was. Towards the end of the first half they really started to turn it on, and by the second half they found their gear. It was very much looking like it could be an upset early. When this team is on I think they can scare anyone. It is fun to watch them when they are on. This basketball season I really intended on leaving my Canon 24-105mm lens at home. I have done that, but instead I brought the version II along to the game Wednesday night. I will start using my 24-70 f/2.8 more as the season progresses, but right now the 24-105mm is the new lens so I am playing with it. The next time that I will see the Sycamores play will be against Air Force in the MVC/MWC Challenge. 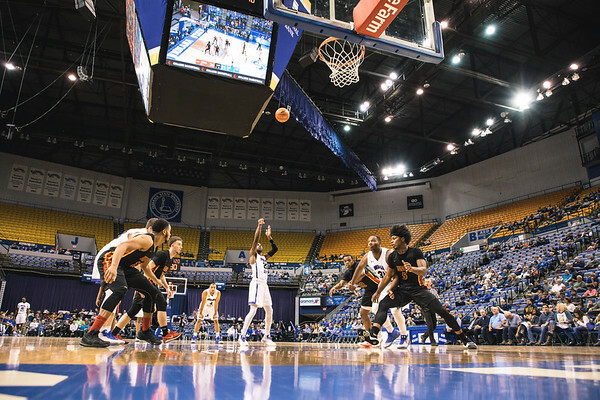 As the season really kicks in there are some dates with both the men’s and women’s team playing in the Hulman Center which means that my car will really start learning the way there again. Previous Post Friday Night Lights…On A Thursday?